Sheila E. lit up Target Center last night with a high-energy halftime performance during the Minnesota Timberwolves’ close victory over the Houston Rockets. The long-time Prince collaborator and friend was enlisted by the Timberwolves to perform as part of the NBA’s 2018-19 City Edition initiative, which highlights each team’s hometown history. Naturally, the Minneapolis team chose to collaborate with the Prince estate in order to honor the Purple One, who has quite a storied history with the game. In addition to a series of eye-catching purple jerseys, the Wolves have orchestrated a series of Prince-themed nights for fans to rally around. Last night everything was purple – from the players’ uniforms, to the shirts worn by staff, to the lights skimming the crowd and the court, to the free towels handed out to the crowd that read “I like Hollywood. I just like Minneapolis a little better.” From beginning to end, every sound emitting from the loud speakers was some kind of nod to a Prince track as curated by Prince collaborator “St. Paul” Peterson and DJ Dudley D (the opening riff of “Kiss” soundtracked any particularly impressive points scored by the home team). Fans voted on their favorite Prince song, choosing “1999” to be played mid-game. But of course the ultimate Prince tribute came from another legendary artist herself. Sheila E. entered the court leading a drum line. She was barefoot, clad in a sparkling leopard-print cape, and beaming. Though the performance was just around six minutes to conform with the NBA’s standard break between quarters, she still managed to pack in multiple cross-court drum solos, horn line, enormous percussion kit, guitars, two-tiered keyboard, backup singer, and multiple sets of high-spirited dancers clutching drumsticks. During an uptempo rendition of Prince’s “Baby I’m a Star,” she stepped out from the drums to engage the crowd (as best any performer can courtside) and spun around to perform some footwork and even play a bit of air guitar. In the end, she received a well-deserved extended standing ovation throughout the arena. Past Prince-related halftime performers have included Morris Day, Sounds of Blackness, and Liv Warfield. Two more Prince tribute games are lined up for the season with performers TBA. The April 5 game against Miami will feature the reveal of a special release giveaway as part of a collaboration between the Timberwolves, the Prince estate, and Sony. As for the sports-loving Prince’s basketball connections? He played at Bryant Junior High and Central High in Minneapolis, and frequently sat courtside at Timberwolves games. When the Lynx won one of their many WNBA Championships in 2015, he famously brought the team to Paisley Park in limousines for a celebratory concert. Prince also played pick-up and horse with friends including Charlie Murphy and Sheila E. herself. “Oh we played together! And he was mad. Sometimes I won,” she laughed. Lydia Moran is a music and arts writer in Minneapolis. 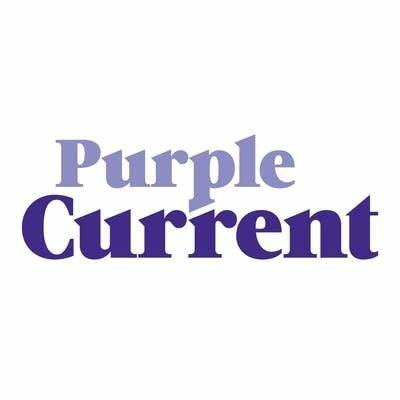 Get the latest stories about Prince’s musical legacy and updates on what’s playing on Purple Current. That’s right Sheila E! Set ’em straight! The people that leave those silly remarks, obviously aren’t aware of you and Prince’s history together. The true fam knows! Love you lady! Haters are jealous people and you don’t owe them an explanation, but the fact that you took the time to set them straight, makes me love you even more. So unfair to attack Sheila E. in any fashion. She is an amazing artist and the closest talent we have to our beloved Prince. Her haters are 2 B hated as far as I’m concerned. Dance On Sheila! We all 💜 U.